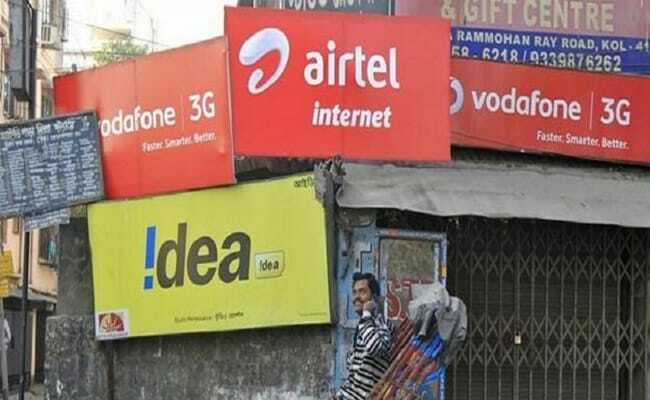 Jio, Airtel, Vodafone, Idea Cellular New Year Plans: Which Telco Offers What In 2018? Reliance Jio, Airtel, Vodafone and Idea Cellular are repeatedly coming out with prepaid and postpaid recharge offers to entice customers and retain their subscribers' base. Just before the start of New Year, Jio introduced prepaid recharge plans priced at Rs 199 and Rs 299. The price war between the telecom operators seems to continue even in 2018. All the telecom biggies such as Reliance Jio, Airtel, Vodafone and Idea Cellular are repeatedly coming out with prepaid and postpaid recharge offers to entice customers and retain their subscribers' base. Just before the start of New Year, Jio introduced prepaid recharge plans priced at Rs 199 and Rs 299. Airtel came out with Rs 98 prepaid recharge plan while Idea Cellular upgraded Rs 309 prepaid recharge plan. Vodafone also introduced a new prepaid recharge plan at Rs 198. The telecom majors are engaged in providing maximum benefits in their recharge offers. Here we have compiled all the prepaid recharge offers recently introduced by Jio, Airtel, Vodafone and Idea Cellular which will continue in 2018. Reliance Jio recently introduced two prepaid recharge plans priced at Rs 199 and Rs 299 under 'Happy New Year 2018' offer. 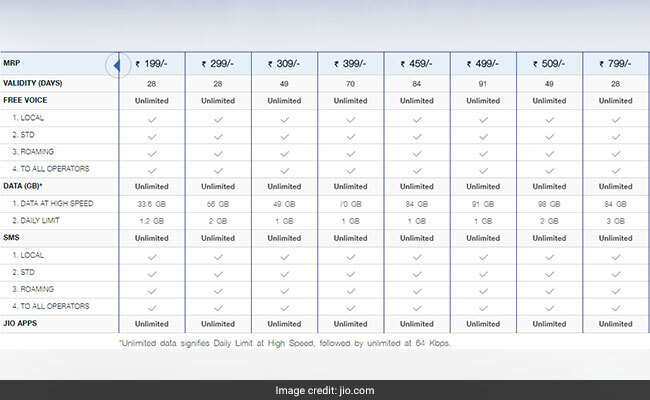 Jio's Rs 199 prepaid recharge plan offers 1.2GB data while Rs 299 prepaid recharge plan offers 2GB 4G data on a daily basis. According to the official website of Jio, the validity for the two prepaid recharge plans is 28 days. The new prepaid recharge plan comes bundled with unlimited free calls, unlimited roaming calls and free SMSes. These plans also give access to a host of Jio apps. 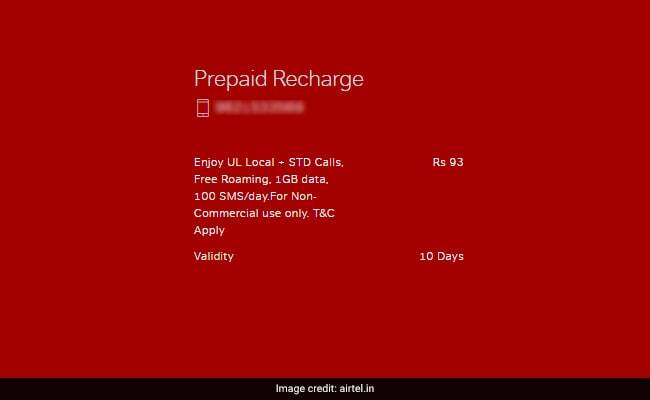 Airtel launched Rs 93 prepaid recharge offer which gives users 1GB daily 3G/4G data for 10 days with no daily cap. Airtel's Rs 93 prepaid recharge plan also gives users unlimited local, STD and roaming calls along with 100 SMSes per day. This prepaid recharge plan is focused for non-commercial users, said Airtel's website. Vodafone's Rs 198 prepaid recharge plan offers 1GB 3G/4G data per day for a period of 28 days. 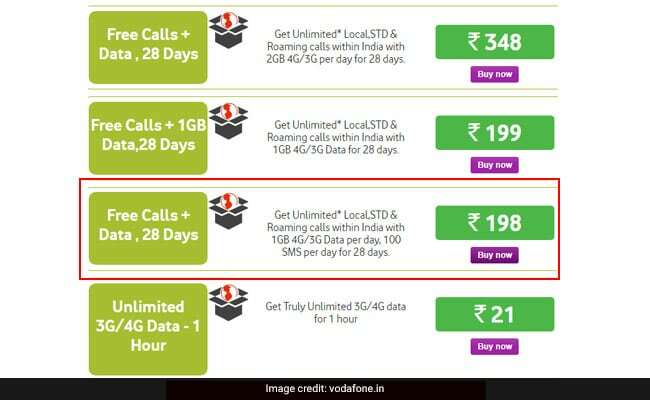 Users also get unlimited local and STD voice calls and free roaming calls under this offer, official website of Vodafone said. The validity of this prepaid recharge plan is 28 days. 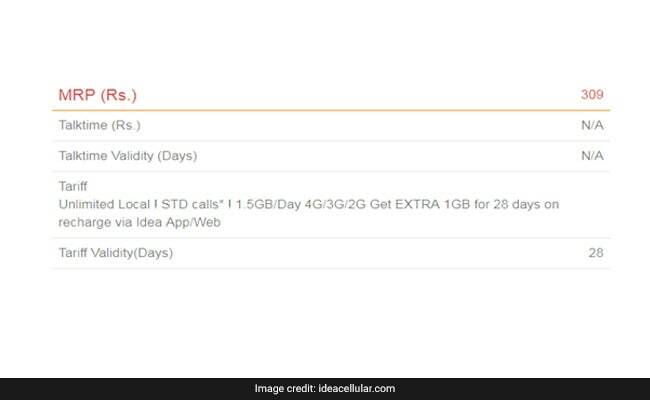 Idea Cellular recently upgraded Rs 309 prepaid recharge plan which is now offering 1.5GB daily 2G/3G/4G data for a period of 28 days. Idea's Rs 309 prepaid recharge plan previously used to offer 1GB daily data. The upgradation also brings up the total bundled data for the validity period from 28 GB to 42 GB now. Rs 309 prepaid recharge plan offers outgoing calls with a cap of 250 minutes per day and 1,000 minutes per week. The subscribers will need to pay one paisa per second after exhausting the call limit. Users also get free outgoing calls on roaming with this prepaid recharge offer.